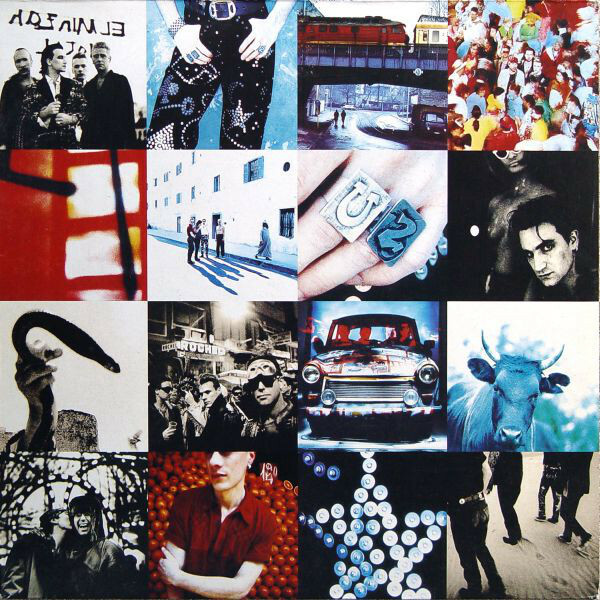 Achtung Baby (1991) is where U2’s second iteration begins. It’s a demarcation point, a line in the sand. After pushing their original sound as far as they could take it, Bono, the Edge, Adam Clayton and Larry Mullen, Jr. destroyed the blueprint that helped the band sell 18 million copies of The Joshua Tree in 1987 and pressed ahead with a sound that was both radically different and remarkably on-brand. As they began work on Achtung Baby, major changes were afoot in Europe. The Berlin Wall had come down in late 1989 and the continent was beginning to reunify. Drawing on that excitement, the band decamped to Berlin to work on the record, choosing Hansa Studios where David Bowie, Iggy Pop, Nick Cave, Depeche Mode and Siouxise and the Banshees had all recorded some of their best work. Despite Bono’s claims to completely start fresh, they retained Daniel Lanois and Brian Eno, the duo who produced both The Unforgettable Fire and The Joshua Tree. For his part, Eno would only drop in and listen to the new work on occasion, a decision that would allow him the distance to scrub away anything that sounded too much like classic U2. Unfortunately, the band’s hope to tap into something special in Berlin did not come to fruition. The bleak winter was unbearable. Germany seemed petrified by the removal of the wall. There was no joie de vivre in Berlin. Even the legendary Hansa Studios was unable to move into the future. The band found the studio in disrepair and had to bring in their own equipment to work on the record. To make matters worse, a schism developed. Clayton and Mullen didn’t want to stray too far from the band’s original sound while Bono and the Edge yearned for experimentation. They wanted to incorporate industrial and EDM elements, tuning into the zeitgeist as bands such as Nine Inch Nails pioneered new sounds in popular music. Lanois, who did not enjoy the types of changes Bono and the Edge were advocating, sided with the bassist and drummer. The tension became insurmountable. Squabbling between bandmates nearly led to blows. A dissolution of U2 seemed inevitable. 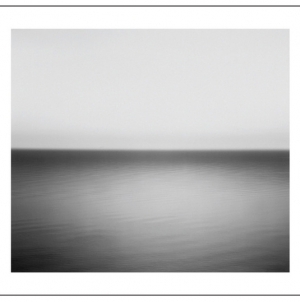 We can thank Brian Eno that U2 still exists. With the group on the precipice, Eno arrived and found much to like in the tension that had inhabited the sessions. A balance existed between Mullen’s desire to construct traditional songs that leaned on classic rock and the innovations that Bono and the Edge wanted to include. Though many of the songs later to be included on Achtung Baby were already in progress, Eno’s encouragement allowed the band to quickly improvise what would become one of U2’s greatest tracks of all time. At first blush, “One” may sound like a love song, but given the context, that isn’t the case at all. 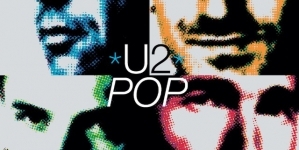 The lyrics are filled with recriminations, such as the opening stanza: “Is it getting better/ Or do you feel the same?/ Will it make it easier on you, now/ You got someone to blame?” “One” is Bono’s response as he stared down the end of U2. He is also addressing the reunification of Germany while taking a swipe at the hippie idea that we’re one. “We’re one, but we’re not the same/ You gave me nothing, now it’s all I got,” Bono sings at one point. Even though the song would continue to be a work in progress, it was enough to push U2 towards what we hear on Achtung Baby. After the Berlin sessions, the band finally agreed with Eno, there was a lot of good coming out of what they did in Hansa and committed to push forward, moving the sessions to Dublin in early 1991. Bono, as a lyricist, also pushed himself in a different direction. Much of the band’s early work were agitpop ragers that confronted social and political issues, especially the British occupation of Northern Ireland. For Achtung Baby, Bono turned inward, exploring characters suffering from romantic and spiritual crises. His lyrics were darker, his voice suffused with turbulence and desolation. Bono also welcomed two daughters while recording the album while the Edge separated from his wife, both events figuring into the songs. 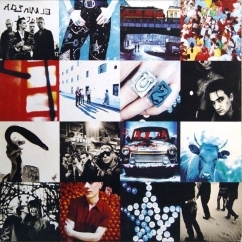 U2 presaged the mid-November 1991 release of Achtung Baby with first single “The Fly.” Developing a persona named for the song, Bono called the single “the sound of four men chopping down The Joshua Tree.” It stands out as one of the more straight-ahead rock songs on the album, yet different from past U2 singles for its inclusion of industrial textures, hip-hop beats and Bono’s voice nearly indistinguishable from effects before breaking into falsetto for the chorus. Of the five singles released from the album, “The Fly” would chart the lowest, struggling to find a hold with mainstream audiences. However, the song was well-reviewed and found airtime on alternative radio. It may be hard to believe given the current backlash, but at the time of Achtung Baby’s release, U2 was beloved by fans of alternative rock. Nirvana and grunge had taken the country by a storm and bands such as R.E.M., Pearl Jam and Soundgarden received heavy rotation on MTV. Though “The Fly” may not have been the massive hit they band had hoped for, subsequent singles “Mysterious Ways” and “One” dominated radio stations and MTV for months following the album’s release. “Mysterious Ways” is easily one of the most accessible songs on the record, an exploration of how men (including Bono) idealize women and elevate them to the level of godliness. Like on “The Fly,” it experiments with percussion, this time with Lanois augmenting Mullen on the congas. The band would round out the singles by releasing the confectionery “Even Better than the Real Thing” and the soaring “Who’s Gonna Ride Your Wild Horses.” However, the deep cuts are truly the best part of Achtung Baby. 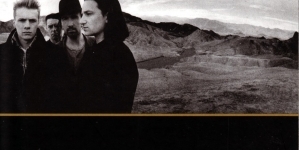 “So Cruel,” inspired by the break-up of the Edge’s marriage, is one of Bono’s most bitter lyrics, the story of a man at the mercy of a woman unable to love. The lush song, sandwiched between the bombast of “Wild Horses” and the abrasive “The Fly” is one of the album’s true stand-outs. Achtung Baby closes the best way possible, with three melancholy slow-burners, a triumvirate of perfection. “Ultraviolet (Light My Way)” may sound like a throwback to the classic U2 sound, but it’s yet again a song about a troubled relationship. A crisis hangs over the couple in the song and the narrator is implying whatever it is, spiritual or otherwise, may be too strong for the pairing to weather. For “Acrobat,” Bono looked to writer Delmore Schwartz for inspiration. In the lyrics, he tackles hypocrisy, moving away from attacking political institutions to himself. It’s a harrowing song one that leads beautifully into the shimmering, dark finale of “Love is Blindness.” Originally intended for Nina Simone, the band decided to keep the song (once considered “not U2 enough”) as its closing salvo. When considered with the two preceding songs, it feels like the end of a narrative arc, a consideration of how two people in love can cause one another to suffer. It is a shadowy, dour ending to a dark masterpiece, a flickering light that feels like it can be snuffed at any moment. The album received universal praise upon its release, selling more than 8 million copies in the United States alone. It is also the last truly great U2 album. While the band would go on to create indelible songs and score huge hits, they would never create an artistic statement as complete and true as Achtung Baby. It was a record popular with longtime fans and high schoolers afflicted with grunge. U2 did indeed rip it up and, for a short time, ride high as the best band in the world.